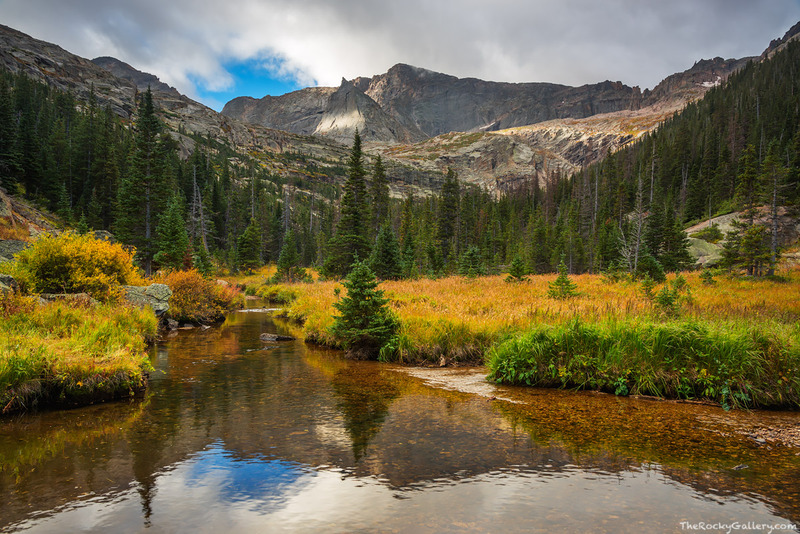 Glacier Creek flows downstream below Black Lake on an autumn day in Rocky Mountain National Park. Chiefs Head Peak and The Spearhead tower over the Glacier Creek whom's banks are now adorned with yellow and gold grasses of fall. Photo © copyright by Thomas Mangan.